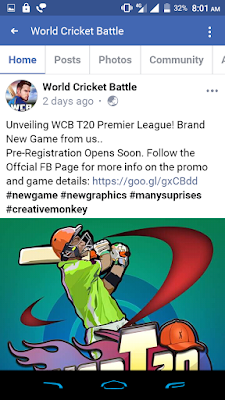 Creative Monkey latest game WCB T20 Premier League and Nextwave Multimedia latest WCC Rivel new post on Facebook. The games are coming very soon. We are always happy to play new games. That's why the gaming company launched different games for us. 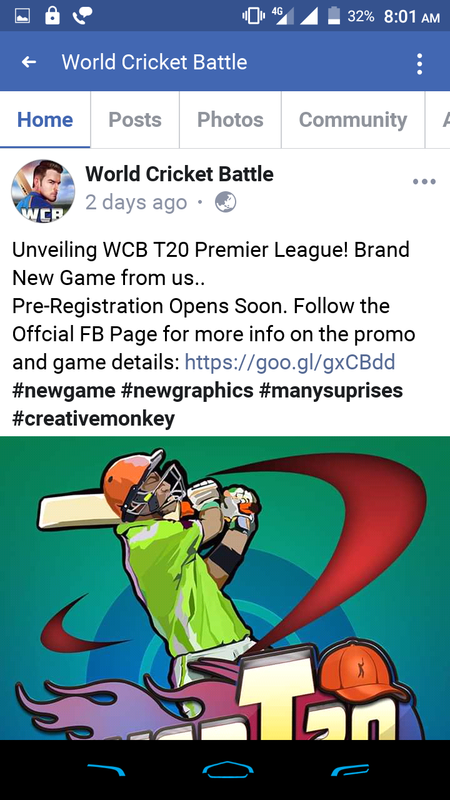 But now the Creative Monkey the developer of World Cricket Battle brings us to brand new Cricket game for us that is World Cricket Battle T20 Premier League. It's not launched now but the company claims that they launched the game soon. In another way, Nextwave Multimedia is also set to launch his upcoming WCC Rival. Both the games launched very soon. In my opinion, these games launched before IPL 2019. 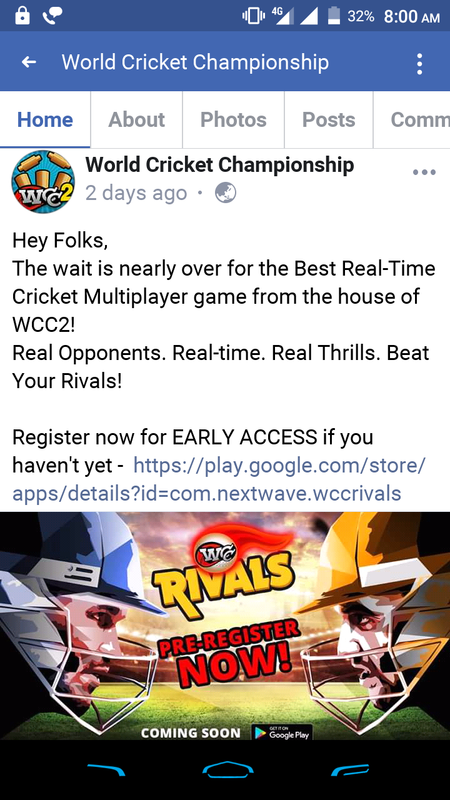 According to the latest post, the Nextwave Multimedia said 'The wait nearly over for the Best Real-time Cricket Multiplayer game of the house'. 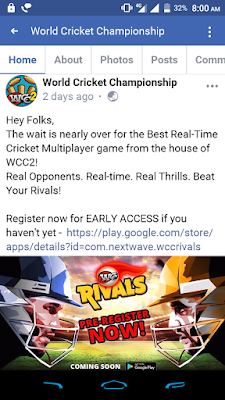 After this post, we all are expecting that the Wcc Rival brand new game launched before 2019 IPL. Features we expect in this game Multiplayer means we can play with our friends in real time. And also we can play in real time throughout the world player. Which make the game unique for us. So, let's wait for the launched. The Creative Monkey company also reveals some details about his upcoming cricket game on Facebook. According to the post they said 'Unveiling WCB T20 Premier League Brand New Game For Us'. They did not mention so many details about the game but we are gamer we already know some details after launch the title and picture of the game. So let's discuss it. 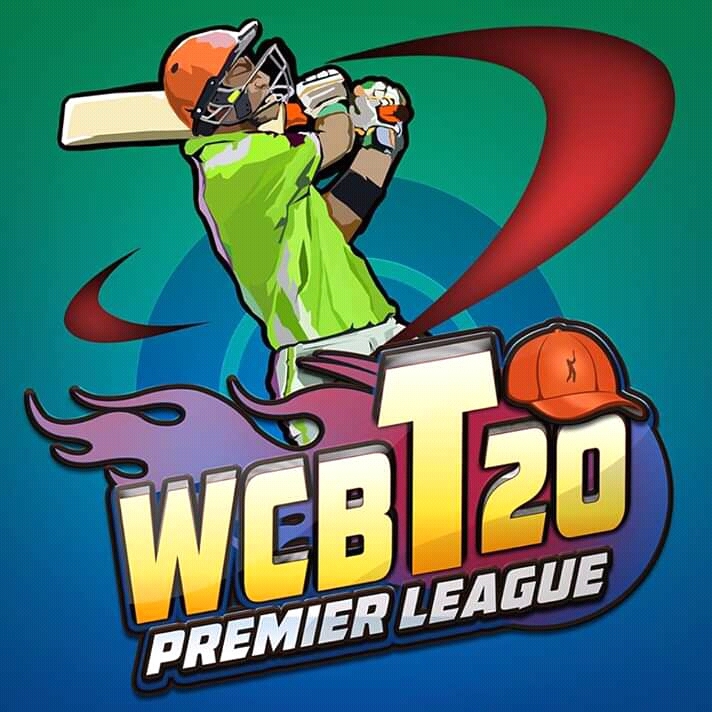 This is the main logo of the game but we already know that before this they launched some pictures about the IPL Action. But that post they launched many months ago and then this picture they revealed a brand new game for us. So, it clearly indicates that IPL Action is not for World Cricket Battle it's for brand new WCB T20 Premier League game. The reason is simple if they add that features on WCB then they already add to it but they don't they launched another game for that. And the title is also Premier League. In this picture, we already know that features that we get in WCB T20 Premier League after launch. Yes, you are right the player will be the ride in the Bus. 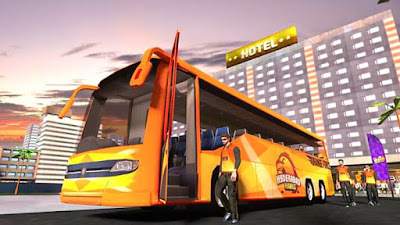 Before the match, we can see the animation of the player will be the ride on the bus before going to ground. So these are the updates of WCC Rival And Brand New WCB T20 Premier League Game. Hope they launch the game soon. If You Like The Post Then, Plz Share This Post With Your Friends And If You Have Any Doubt Then Let Us Know In The Comment Box.